I offer email and phone tarot readings. 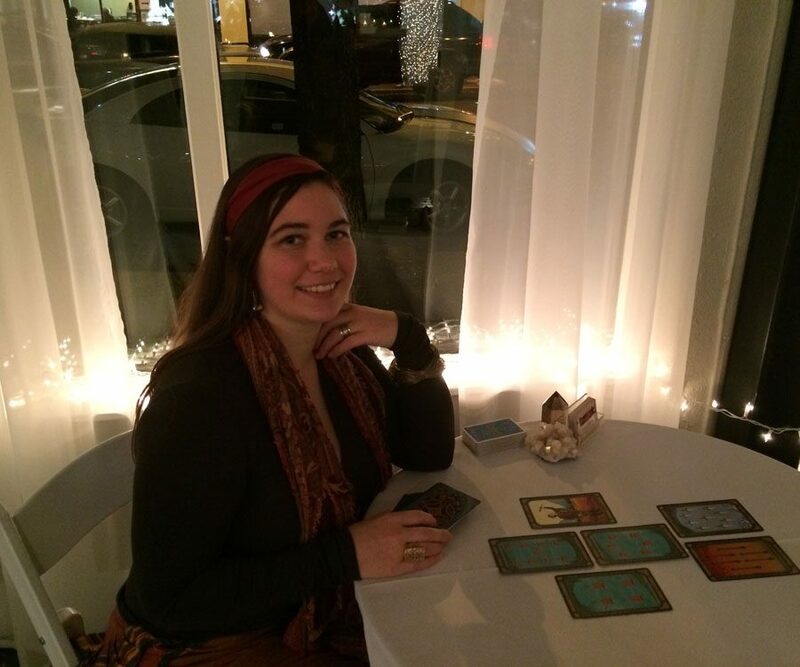 I have been reading tarot professionally for over a decade in the Portland, Oregon area. While tarot is my primary tool for divination, I also read palms, interpret astrology, and work with Lenormand cards. 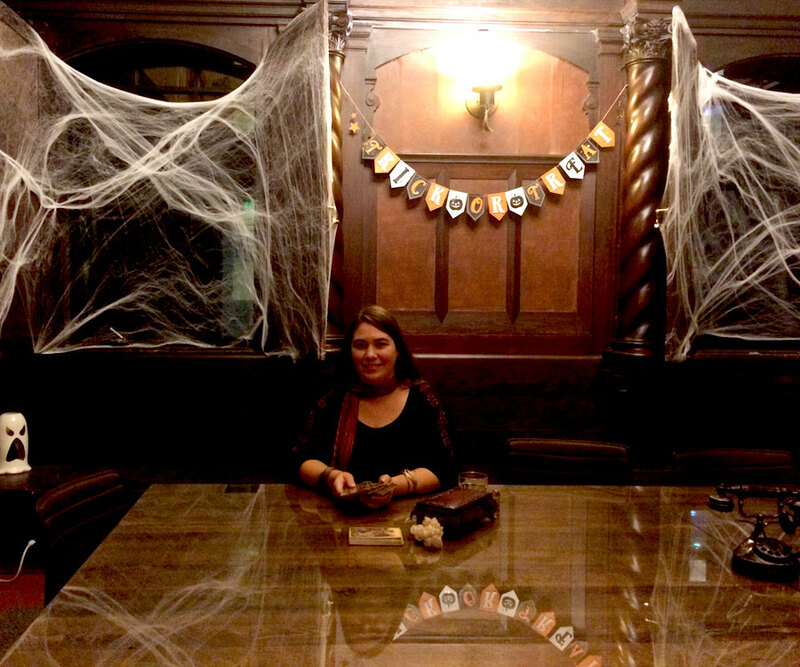 I’m the director of the Northwest Tarot Symposium, an annual tarot conference in Portland, Oregon, and founder of The Cartomancer tarot magazine. As a deck creator, I’m the co-author of several Living Magick Learning Cards deck, which are essentially flash cards for learning Tarot, Astrology, Runes, Palmistry, and more. I offer email and phone readings, and in-person readings at my home office in the Happy Valley / Oregon City area. Please select from the services below to schedule your session. In half an hour we can usually cover two to three questions or go in depth with a single question. This hour long reading is for more than three questions or to get in depth in a particular area of your life. If your inquiry includes the words “it’s complicated”, then this may be the best service option for you. Book your reading by phone, in-person, or Skype. This reading is specifically designed for those who want to take a look at their love life. You may want to see if you’re ready for a relationship, if a romance is coming your way, or what you can be doing to have a more fulfilling romantic life. This reading is delivered by email and includes a write-up and photo of your cards. Specifically designed for couples or if you’re already in a relationship. This reading shows you what you and your partner bring to the relationship, advice, and a peek at where you may be heading together. Delivered by email and includes a write-up and photo of your cards. Are you at a crossroads? Are there two or more possible ways to go from here, but you don’t know which one to take? If yes, then this reading if for you. We will explore each of your options and through this insight you’ll have a clearer idea of which path to choose. Delivered by email and includes a write-up and photo of your cards. The money and career spread looks into these related part of your life. Get insight, direction, and sometimes just confirmation on your work and financial picture. Delivered by email and includes a write-up and photo of your cards. Have something on your mind? Ask your single question and you’ll get an email that includes a write-up and photo of your tarot cards. Birthdays and New Year’s are a great time to get a twelve month look ahead. This forecast spread includes a card for each month the relates to important influences, potentials, and opportunities coming your way for the next year. Delivered by email and includes a write-up and photo of your tarot cards. Ready to schedule your tarot reading today? Recently went to Jadzia for a reading. I know a lot about tarot, which I let her know up front. We worked together to get to the heart of my questions and the meaning of the cards - doing a number of different layouts. The reading was very much on target and the same cards kept popping up in positions that reaffirmed the message. She gave me a choice of decks so that I identified with the imagery. She knows the meanings of the cards well and seemed to be intuitive. She has a calm and peaceful energy. She is quiet and listens to you carefully before she answers. 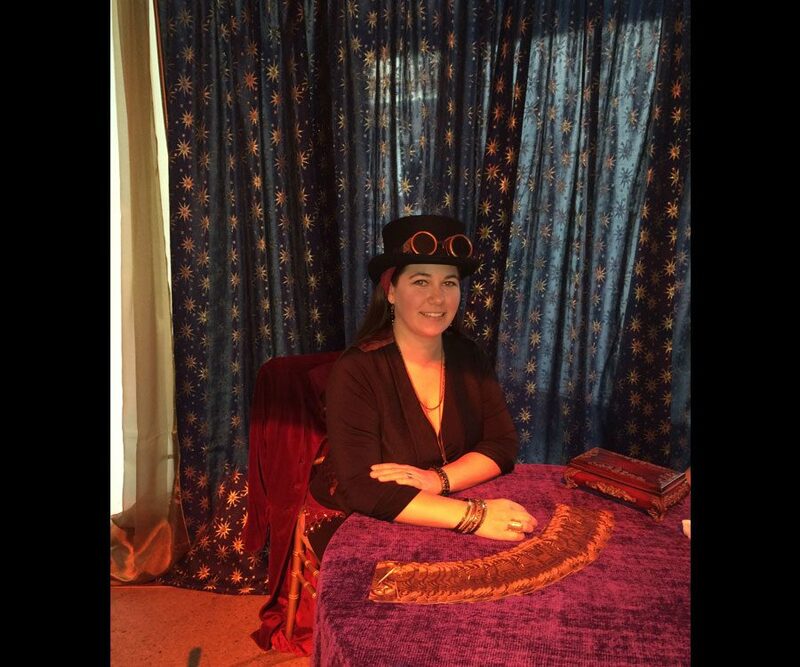 I hired Jadzia for Tarot readings at my Clue Halloween Party – she was the perfect addition! Almost everyone who attended sat with her at some point during the evening and came away excited about their readings. They all mentioned how pleasant and knowledgeable she was. Her gypsy attire looked great, but more important her patience and professionalism were sincerely appreciated. At times it got a bit noisy in the area that I had set up for her, yet she remained calm and focused on the person she was meeting with. I would hire her again in an instant! 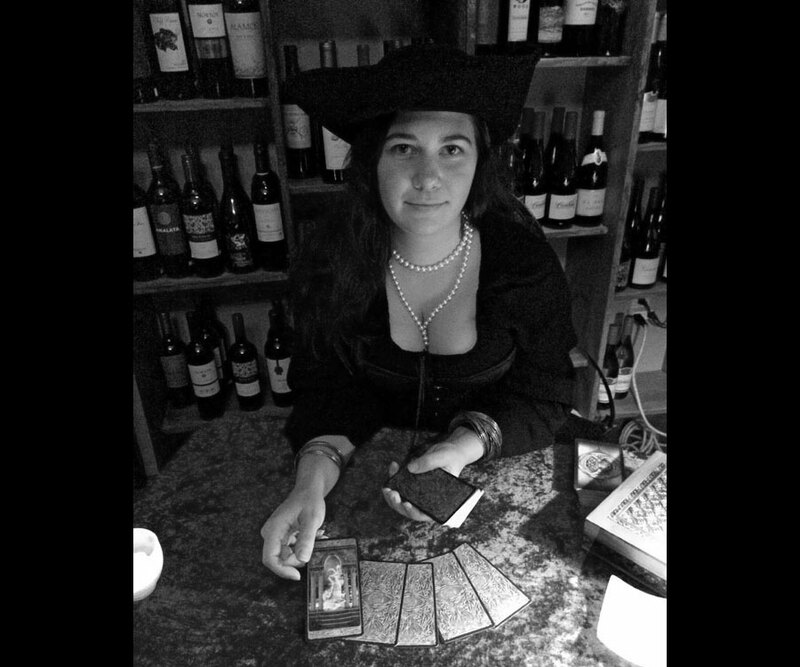 Just hired Jadzia to read Tarot at my Halloween party this past weekend. She did a fantastic job and everyone was stunned at the accuracy of her readings. She has a very calm way about her and was a pleasure to have at my party. I would hire her again in an instant. I also loved the fact that she came dressed in gypsy attire which only added to the appeal and theme of the party. I embrace the code of ethics from the American Tarot Association and have added some of my own below. Please read these before booking for any of my services. I will represent honestly my Tarot qualifications, including educational credentials, levels of certification and experience. I will recommend clients consult a licensed professional for advice of a legal, financial, medical, or psychological nature that I am not qualified to provide. I will respect my clients’ right to refuse or terminate their reading at any time, regardless of prior consent. I recognize that all ATA members have the same rights and obligations, and I will always respect and honor my co-members. I will only do readings about the client that is receiving the reading, I do not give readings about the lives and decisions of people other than the client. I reserve the right to cancel or discontinue a Tarot reading at any time, regardless of prior agreements. I will always approach the tarot as a tool for insight and self empowerment, I will not engage in telling the client what to do. TarotByJadzia.com and Jadzia DeForest do not assume and hereby disclaim any liability to any person or entity for any loss or damages (including, without limitation, physical, mental, special, indirect, incidental or consequential) caused in regard to any information and\or any suggestion(s) or advice provided to you through this service, or as a result of your use of this service, regardless of whether resulting from negligence, accident, or any other cause whatsoever. And, TarotByJadzia.com and Jadzia DeForest reserve the right to refuse service to anyone who exhibits behavior that is inappropriate. Services Agreement: You will be remitting payment as a “Service”, not “Goods.” You’re not paying for a product, you’re paying for my knowledge, experience, insights, and time. When you order a reading, you are receiving a customized, personalized service, not any ordinary product. Because of this, refunds are not issued. Cancellations are required 24 hours in advance. 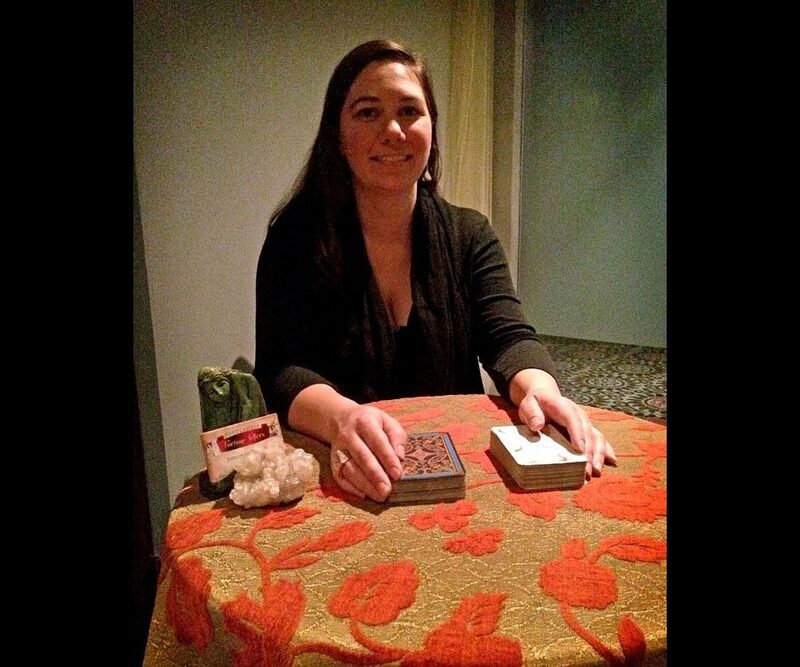 Interested in having tarot, palmistry, rune, or oracle readers at your next party, corporate event, or fundraiser? Contact me through Portlandia Fortune Tellers.